The big K and I had another opportunity to visit Paris. We were on the last four days of our three week European holiday. And after the wonderful time we had renting an apartment from our last visit it was a given that we will be renting again. Why opt for an apartment and not a hotel or B&B? First, renting an apartment is cheaper and second we get to experience how local Parisians live even if only for a short while. liked the memorabilias on display, hand me downs from the father of our charming landlady. We got lucky with this apartment, nice, clean and very affordable. Hallway leading to the bedroom. More windows! We liked the uncluttered look of the apartment. it with two big bags. I found the apartment at this website. The local neighborhood had lots of cafes, restaurants, a bakery and a cheese shop. A grocery was just around the corner. You will never be hungry at this place. No worries getting around the city as the nearest metro stop is just a 5 minute walk away. Or if you are feeling energetic you can always walk to wherever you want to go. 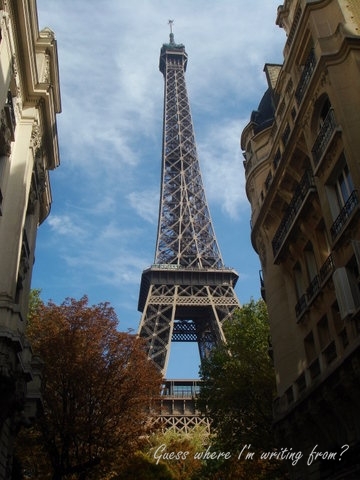 For my other Paris posts, you can click here.